Nothing about the kitchen we inherited from the prior (and original!) 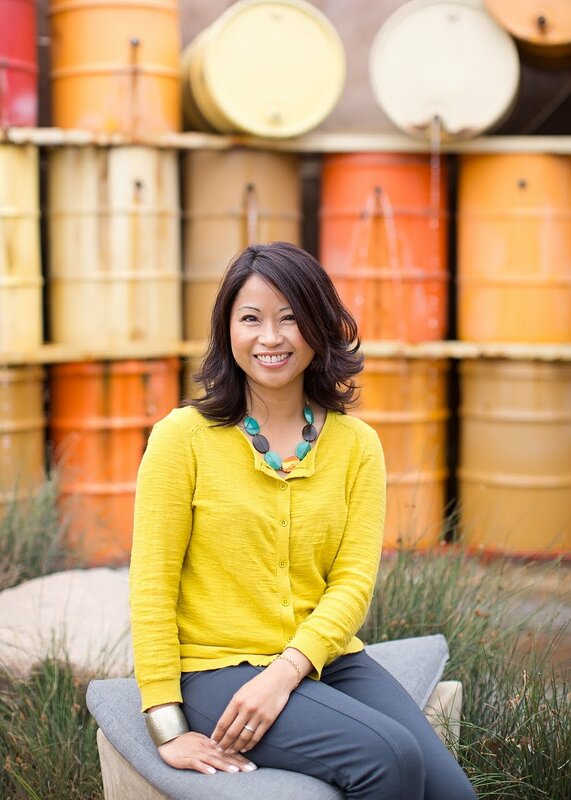 owners of our beloved fixer upper was salvageable, at least from a cost/benefit perspective. Unfortunately for our wallets, we had to completely start anew and renovate our kitchen from top to bottom. You hear this one time and time again, but paint is truly your economical best friend. Paint is one of the most effective and budget-friendly ways to change the look of anything. 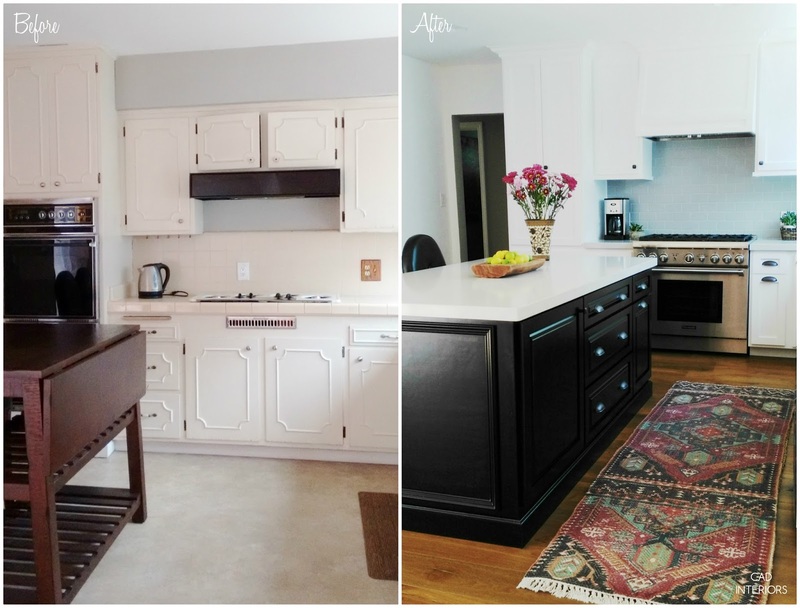 Try painting dated or dingy cabinets to instantly update a kitchen's appearance. 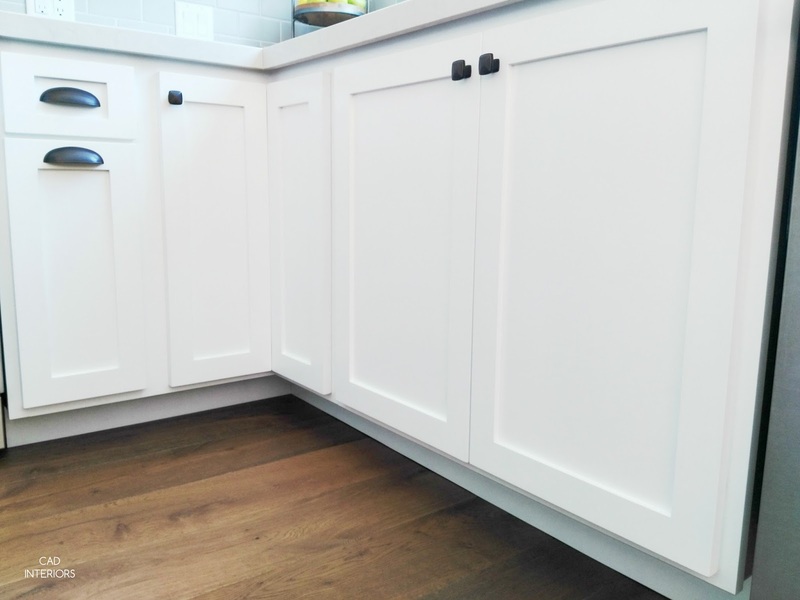 If the frames and cabinet doors are in good shape, consider having them professionally sprayed to achieve a nice even finish (or do it yourself if you have the skills). A fresh coat of paint (try a new color!) on the walls and ceiling can also refresh a kitchen's general appearance. Make sure your kitchen cabinets are sporting some hardware. These detailed touches go a long way. Basic builder newer-construction homes seem to be especially guilty of skimping on cabinetry hardware. Why is that? I consider hardware to be the finishing touch on cabinets. Make sure you buy hardware that is "solid" (not hollow feeling or flimsy/plated looking). 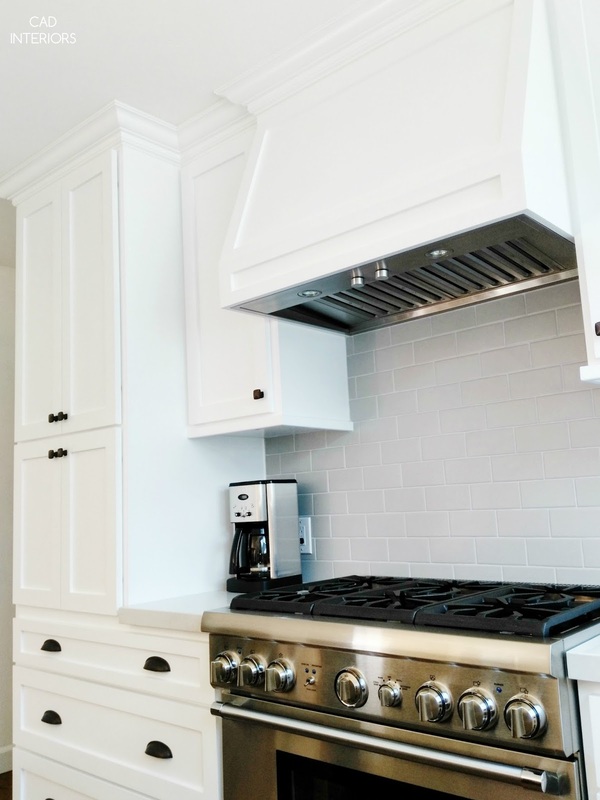 Quality hardware can give your cabinets an upgraded appearance. I chose a mix of beveled-edged knobs and drawer pulls in a dark oil-rubbed bronze finish for our kitchen. They are extremely solid and durable... and so awesome in person! They were purchased from here. 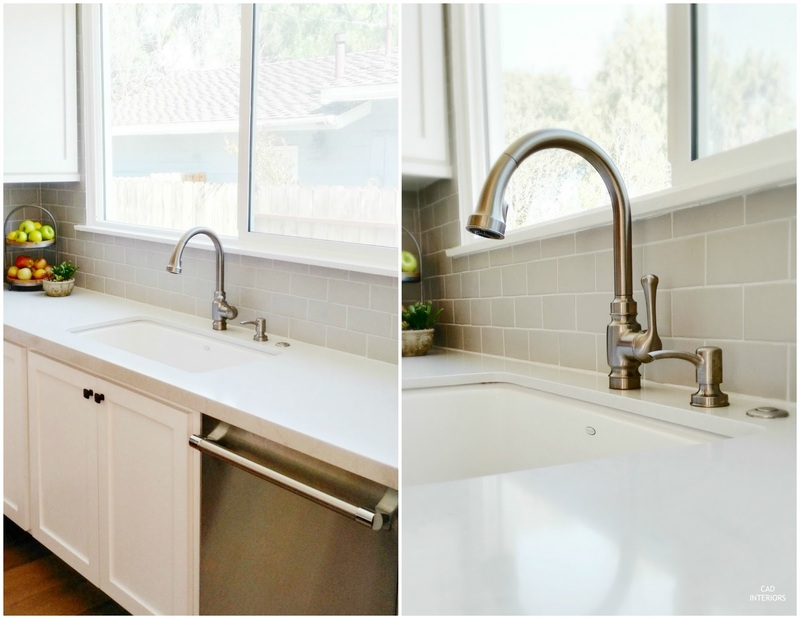 Do you know how you can divert attention away from a ratty old sink? Switch out an old faucet. 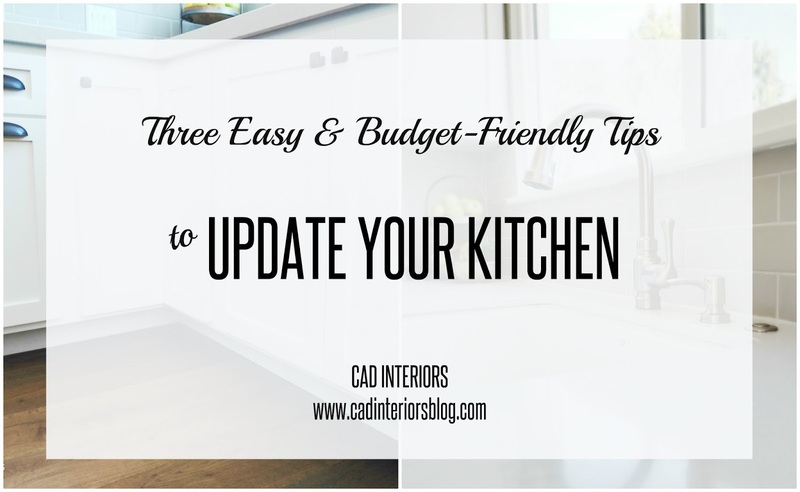 There are certainly more cost-effective ways to spruce up your kitchen (like updating the backsplash and lighting), but these specific tips really don't take much time to implement. They can also give you some major bang for your buck! P.S. Sorry for the more prolonged blog silence as of late. If you follow me on IG, then you know I've had good reason.